Aminin: we’re all guilty of stalking DIY brides on Pinterest and secretly gathering wedding inspo on Instagram. So the minute The Ring lands on our finger, all we really need to worry about is to say yes to the perfect dress! But how does it feel like to go through the crazy, beautiful experience of hunting for a bridal gown? I went through it first-hand when Rosa Clara launched its newest collection at Rockwell’s posh-yet-homey haunt, Aruga, and invited a few members of the press to try them on, complete with hair, makeup, and a photo shoot! There on a rack was an exquisite array of possibilities—tulle confections sprinkled with crystals and beads, figure-hugging mermaid silhouettes with intricate embroideries, and glorious lace ballgowns—all just begging to be touched. Amidst oohs and aahs and a few nervous giggles, we made our selections and I decided on a classic lace ballgown called the Rosina (P165,000), with a sweetheart neckline and organza train. As each gown found its muse, you could see how the dresses would transform, ultimately reflecting each lady’s unique personality. The Rosina: I was pleased with how comfortable and light it was, despite having a full skirt. Truth be told, I was nervous about being a faux-bride, but I ended up having fun instead and learning a lot about myself, too. I loved the Cinderella gown I tried on and I know that I am the consummate girly-girl, but the image of a fully beaded serpentina stunner is proving to be quite alluring as well. Maybe I’ll end up all-pouf, maybe I’ll do something more grown-up, or maybe I’ll do both! That’s the beauty of shopping for a RTW gown—you can try as much as you can, until you find what feels right. Getting hitched soon? Scroll down after the gallery to read some pointers! 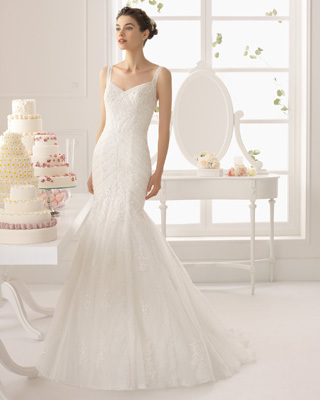 Come in your wedding shoes and shapewear. It is crucial to wear your foundation garments at all fittings to ensure the best fit. If you haven’t picked out your wedding shoes, at least wear one with a similar height to your appointments. Bring a few people—friends or family—whose opinions you value and who know you well. Rosa Clara’s Sam Eduque recommends bringing both your mom and future mother-in-law, to get their opinions off the bat. Rosa Clara Bridal Stylist Euri Mendoza recommends that brides come 6-8 months before the big day. 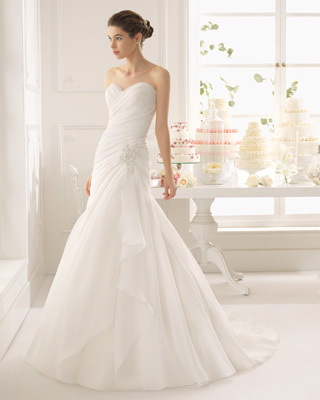 FYI: The brand’s gowns are ordered from Spain in the bride’s size and then altered to fit the client perfectly. 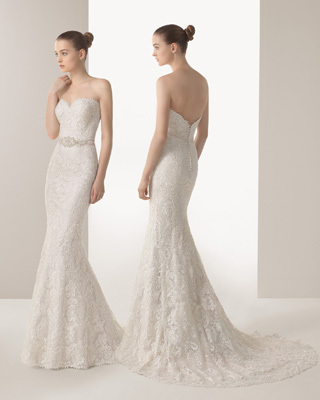 Rosa Clara also offers a host of beautiful cover-ups and belts to make your gown feel more “you.” The lace boleros are perfect for brides who want a more modest ceremony look that they can easily change up for the reception. Rosa Clara is located at The Residences at Greenbelt Tower III. Appointments with its Bridal Consultants can be booked at +632 238 1310. You can follow @rosaclaraph on Instagram, too!